BFD Jazz & Funk Collection is an expansion pack for FXpansions BFD acoustic drum software. Recorded by a new engineering and production team in a dry, intimate sounding room at Omega Studios, Maryland, USA, its sounds offer a whole spectrum of fresh flavours for your productions. Centred around Slingerland, Yamaha and Gretsch kits and a wide range of hyper-detailed extras, most of the instruments in the collection are provided in stick and brushed versions, with selected pieces also played with mallets, rods and even hands! A wide range of controlled, dynamic articulations are featured, including some never heard before in a BFD library. 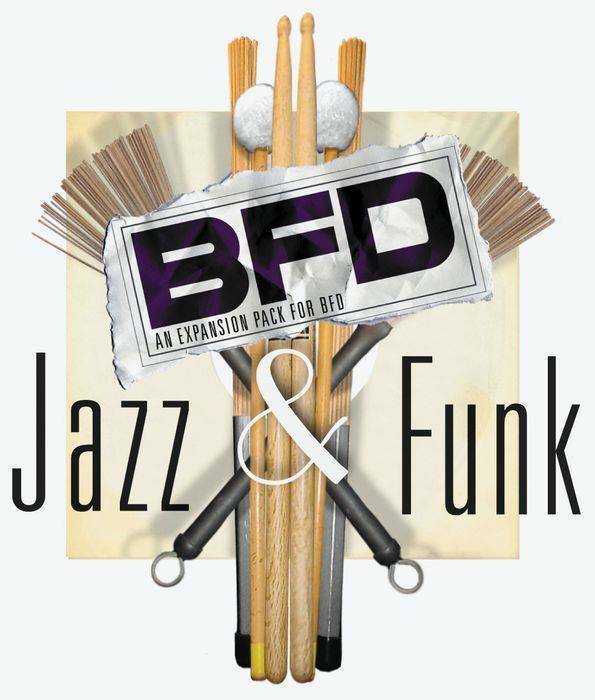 The versatility of the precision instruments in BFD Jazz & Funk Collection mean that its perfect for jazz, funk, pop, soul, hip-hop, R&B, blues, country, fusion, folk, rock and far beyond.